People who follow Promo 101 Promotional Services, know we coordinate online campaigns for many interesting and often unique books. This summer you can tour with Rita Golden Gelman, author of Female Nomad and Friends: Tales of Breaking Free and Breaking Bread Around the World. This book is a celebration of wonders and joys of cross culture connections and it is a collection of stories and recipes from over 40 authors from around the world. What an awesome summer read – and we are very happy to have a wide variety of bloggers participating in this tour. The tour includes sites that want to discuss: women’s interests, world travel, food from multiple cultures, overseas cultures, independence, connecting globally, faith, risk taking and international food. This tour begins on June 7th and runs through the first week of July, 2010. 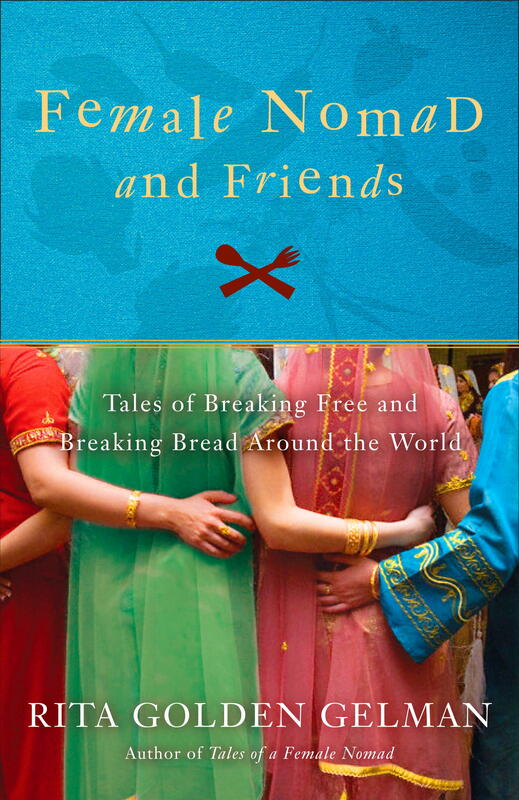 Female Nomad and Friends: Tales of Breaking Free and Breaking Bread Around the World – From the author of the international bestseller, Tales of a Female Nomad, Female Nomad and Friends is a moving anthology of essays that celebrates traveling, connecting, and eating around the world. Also included are more than 30 travel-inspired, taste-tested and author-approved recipes. Rita Golden Gelman is the author of Tales of a Female Nomad and more than seventy children’s books, including More Spaghetti, I Say!, a staple in every first grade classroom. As a nomad, Rita has no permanent address. She is currently involved in an initiative called Let’s Get Global, a project of US Servas, Inc, a national movement deigned to bring the gap year to the United States. Learn more at: www.letsgetglobal.org and http://www.ritagoldengelman.com/. To join the Female Nomad and Friends virtual tour, check out the full schedule at https://bookpromotionservices.com/2010/05/17/female-nomad-tour. For more information about Rita Golden Gelman and her work on her website – www.ritagoldengelman.com. Tour coordinated by author and publicist Nikki Leigh, owner of Promo 101 Promotional Services. Nikki can be contacted at nikki@nikkileigh.com.